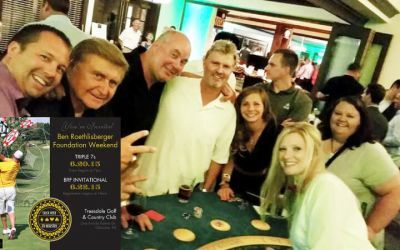 As a team, we’ve got a lifetime of experience in the business of planning and producing casino parties. 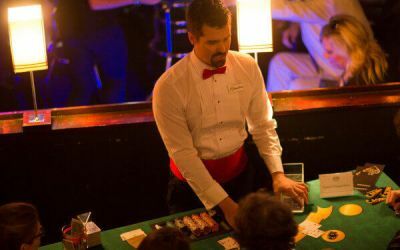 Along this journey, we’ve serviced every type of casino party you can imagine; helped worthy charities raise funds, planned many personal celebrations, and created fun and engaging corporate events. Additionally, I worked as a casino dealer, supervisor and pit boss; while my husband retired as a poker room manager. Elite has delivered everything from the sophisticated black-tie casino party to the fun, silly, wild and even outrageously themed – casino parties! 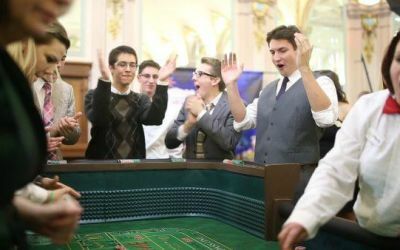 In this blog together, we share our insights, ideas, helpful tips, and secrets to successful casino party planning; including all the interesting elements about the casino games. Classic Casino Night Birthday Party – Planning a Winner! Monte Carlo Casino Night | Elite Casino Events team gets in the movie! The Perfect Casino Night Party is Just a Click Away.